The median home price in the United States hovers around $200,000, which means your home is the biggest investment you’ll likely make in your life. The purpose of homeowner’s insurance is to protect that investment should it be damaged or destroyed. That said, it’s pretty important. However, protecting such a big investment doesn’t have to cost a fortune. 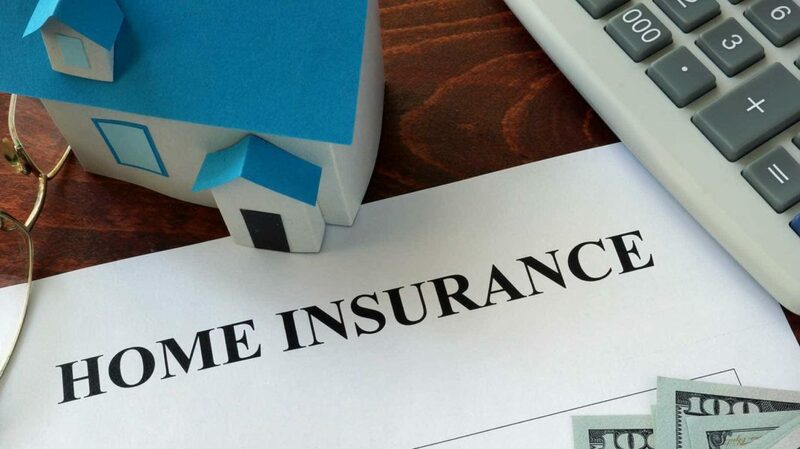 Once you think carefully about how much home owner’s insurance you need so that you’re adequately protected, there are plenty of ways to trim costs. Let’s look at what insurers look at when they quote you a price, and go over several different tips you can use to save on your home insurance. According to Insurance.com, the average yearly home insurance premium for a $200,000 home is $1,228. However, costs vary wildly depending on where you live. In Florida, where homes are at a much higher risk of damage from storms and flooding, premiums are 191% higher; the average annual cost here is $3,575. You’ll find other states with the highest prices, such as Louisiana, Oklahoma, Alabama, Mississippi, Arkansas, Texas, and Kansas, are also the states most commonly hit with the worst storms (which means there’s a greater chance you’ll one day have to file a claim). Hawaii, with its tropical climate and low risk of storms, has the lowest premiums. Costs here are 73% lower than the rest of the nation, averaging $337 annually. As you might guess, prices continue to rise every year. For example, the Insurance Information Institute reports that between 2013-2014, homeowner’s insurance rates rose by 3%. Some years the increases have been as high as 7-8%. 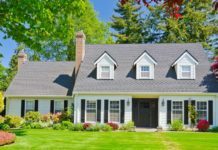 What Affects Home Insurance Costs? Location. Your home’s location is the biggest factor that affects your premium. If you’re located in a region at higher risk for natural disasters, such as hurricanes, tornadoes, floods, harsh winters, or earthquakes, you’re going to pay more. The Insurance Information Institute says that damage from wind and hail make up the highest percentage of claims, followed closely by water damage and freezing. So, the worse your weather is, the more you’ll pay. Exposure to Other Risks. Insurers also look at your home’s proximity to other homes or commercial developments; homes located near commercial buildings or in highly populated areas might be at higher risk for damage due to riots or crime. If your home is in the woods (raising the risk of damage by wildfire), you’ll pay more than a home located in the desert. Proximity to busy roads or dangerous intersections will also raise your rates. Proximity to Fire Departments. If your home is located near a fully staffed fire department (versus a volunteer fire department), you’re likely going to pay less for home insurance. Age of the Home. Older homes usually have old wiring and plumbing, increasing the risk that there will be a fire or flood in the future. Premiums are often higher for older homes. Age of the Roof. An old roof is more likely to leak or be damaged from flying debris. Home’s Building Material. Wood homes are considered a higher risk than brick, as they’re more likely to catch fire. However, if you live near a fault line, you might save more with a wood-frame house, as they’re more likely to bend and flex with the shaking of an earthquake. Wood Burning Stoves or Fireplaces. An open flame inside the home increases the risk of fire. The Insurance Information Institute reports that fire is the most expensive homeowner’s insurance claim; the average claim is over $39,000. Dogs. According to Wells Fargo, 50% of all dog bites occur on the owner’s property, and one-third of all homeowner’s insurance liability claims are due to bites. If your dog’s breed is considered aggressive, you might be denied coverage entirely. Occupancy. If you’re leasing your home to someone else, even if you’re sharing a space (such as renting out a room or a basement apartment), you’re going to have a higher premium. The insurance company can’t vet who will be living in the home, which increases their risk. Previous Claims. If you’ve made several home insurance claims in the past, you’re more likely to make claims again, so your rates will be higher. Credit Score. Whether or not you think it’s fair, your credit score affects your premium. Insurers claim that people with higher credit scores make fewer claims. Many of the factors that affect your insurance rates are outside of your control. However, there are steps you can take to lower your rates and save money. Shopping around for insurance is important, as costs can vary quite a bit between companies. You can save anywhere from a few hundred dollars up to a thousand. Talk to friends, family members, and colleagues. Who provides their home insurance? How long have they done business with them? Are they happy with the company? Have they ever had to make a claim? If so, what was their experience like? The people you know can give you some great leads on which companies are best, and which should be avoided. The downside to shopping around is that it can take quite a bit of time. You have to call, or go online, and provide detailed information to every company you want to obtain a quote from. Yes, it’s worth the effort because you can save a lot of money, but you’ll have to set aside several hours to get it done. One way to avoid this is to contact a local independent insurance agent. Independent agents aren’t usually affiliated with one specific company; their job is to take your information and do the shopping for you to find the best rate, as well as answer questions about each policy. Keep in mind, independent agents work on commission; however, the best agents are honest and knowledgeable about how much insurance you truly need. It’s also nice to have a local resource in the event that you do have to file a claim, as they can answer questions and help you through the process. You can find an independent agent through Trusted Choice, a website recommended by Consumer Reports. When it comes to choosing your insurer, don’t consider cost alone. Consider their history of customer service, which will become very important if a tree falls through your living room or your kitchen catches fire. How quickly does each company send out a claims adjuster? How fast do they pay for repairs? How well do their customers rate them? Check out insurance company ratings through J.D. Power and Associates; they rate home insurance providers on overall customer satisfaction, policy offerings, price, billing, interactions, and claims. Lastly, research a company’s complaint record through National Association of Insurance Commissioners. You might get a good deal through one company, but if they have a history of giving customers a hard time over a legitimate claim, it’s not worth the savings. Your deductible is how much money you pay out of pocket when you file a claim with the insurance company. Once you pay your deductible, the insurance company takes over and pays the rest. So, the higher your deductible, the lower your monthly premium. 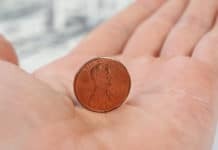 While this can save you money in the short-term, it can be a costly mistake if you don’t have at least the amount of your deductible in your savings. For example, raising your deductible from $500 to $1,000 can save you as much as 25% on your premium. However, if you don’t have at least $1,000 put away to pay your deductible, then you’re out of luck when something happens and you have to file a claim. Use tools like automatic savings accounts to help you put aside money every month to pay for insurance deductibles and repair costs. Like it or not, in most states your credit score will directly affect your premium. Insurance companies use credit scores to predict losses. The higher your score, the less likely it is that you’ll file a claim. In other words, you’re a safer bet, financially, than someone with a lower score. It’s a good idea to find out your credit score before you start shopping for insurance; this way you won’t be hit with any surprises when you start talking to agents. If it’s less than perfect, you can start taking steps to rebuild your credit score. Many homeowners don’t file claims for small repairs because they’re afraid it will raise their premium over time. However, Consumer Reports found that 57% of homeowners who filed a claim less than $5,000 saw no premium increase. Those that did see an increase report that it was less than $200 per year. Of course, an increase in the cost of premiums after a claim varies depending on the company and the cost of the claim. This is why it’s important to talk to each agent when you’re getting a quote to find out how much your premium may go up – and for how long – if you file a claim that’s higher than your deductible. This knowledge can save you quite a bit of money down the road. For example, if you know that your premium won’t go up for a small claim, it makes more sense financially to get the insurance company to pay for that water damage from a bathtub leak. While it’s important to trim costs and coverages so you’re not overinsured, you don’t want to be underinsured either. According to Consumer Reports, 8% of homeowners who file claims find out that they’re underinsured. This is a bad place to be, and it can turn into a financial disaster if you’re not prepared. For example, imagine that your home burns to the ground. Although you paid $200,000 for your home, it’s going to cost significantly more to rebuild it because labor and material costs have gone up quite a bit in the three years since you took out your policy. It’s now going to cost at least $300,000 to rebuild – but your policy only covers a rebuild of $250,000. Your coverage limits don’t automatically go up or down depending on material and labor costs, or the rise and fall of your home’s market value. Consumer Reports states that 60% of all homes in the U.S. are underinsured by 20% or more. This is why it’s so important to talk to your agent every year to make sure that your coverage is adjusted to meet your needs. You might want to purchase an umbrella policy to ensure you have complete protection. An umbrella policy will cover your financial needs if they go past what your current policy covers. For example, if someone falls on your property and decides to sue, or your teenager puts the car into Reverse instead of Drive and crashes through the back of the garage (and into your neighbor’s living room), you’re off the hook for the damage. For most people, an umbrella policy costs a couple hundred dollars a year, and it will help ensure that you’re not wiped out financially if a major calamity that falls outside the scope of your homeowner’s insurance occurs. Companies that offer multiple types of policies (such as auto, home, life, and boat insurance) provide discounts when you bundle your policies with them. The discounts vary but can add up to a few hundred dollars. For example, Nationwide typically offers a 20% discount on homeowner’s insurance when it’s bundled with auto insurance. With Progressive, it’s around 7%. It’s going to take more time to get quotes from new companies, as you’ll have to provide information about your home and automobiles, but in the end, it might be worth it. Age Discount. People who are over 55 and retired are usually home more, which means they’re less likely to be victims of theft. Some companies offer a “senior discount,” which can be as much as 10%. Gated Community Discount. If your home is in a gated community, you might receive a discount, since it’s less likely to be robbed. Average discounts range from 5-20%. Claims-Free Discount. If you don’t make any claims in 10 years, you can save up to 20% on your home insurance. Of course, this means you have to commit to one company during that stretch of time and not make a single claim; however, some people actually make it to this discount. Homeowner’s Association Discount. If you live in a neighborhood with an HOA, you might get a discount of 5-10%, because insurers see these communities as less risky. Nonsmoker Discount. If you smoke, you’ll pay more for home insurance because of the added risk of fire. Nonsmokers may qualify for a discount of up to 15%. Water Sensor Discount. Water sensors can detect leaks before they turn into full-blown floods. You can purchase passive or active sensors at any of the big home improvement stores. Once they’re installed (which is easy to do yourself), you might qualify for a discount of up to 10%. There are plenty of renovations you can do to increase your home’s value. There are also some renovations that will lower your home insurance premiums. For example, a new roof could cut up to 20% off your home insurance premium. Improving your home’s wiring or plumbing could save you an additional 10-15%. However, adding a new room could raise costs significantly, since your home would cost more to rebuild if it was destroyed or damaged. Before you do any major renovation to your home, talk to your insurance agent to find out how your insurance rates will be affected. When people are buying a home, they analyze the quality of the construction, the flow of the home , and the local community. The cost of insuring it is often the last thing on their minds. However, before you buy a home, it’s important to consider these costs. Higher premiums will add to the costs of owning a home, and if your budget is already stretched thin, it can turn into a financial disaster. Is the Home Brick or Wood? Brick homes often have cheaper premiums. Is There a Security System? Deadbolt locks? Fire alarms? If so, you’ll pay 5% less, on average. A top-notch indoor sprinkler system could save you as much as 20%. Is There a Pool? A backyard pool may be fun, but it can raise your premium significantly. Is the Home Located on a Busy Road? If so, there’s an increased risk that a car will skip the curb and hit your home (yes, it happens), so, you’ll pay more. What Are the Crime Rates in the Neighborhood? Contact your local police department to find out the rates of home burglary, property damage, and theft. How Old is the Home? New construction means lower premiums. How Old is the Roof? The newer the better here. If the roof is made of fire-resistant material, such as asphalt, rubber, or metal, it will save you even more. Is the Home in a Flood Zone? Even if the area is not officially classified as a flood zone, it’s still important to talk to city officials to find out if the area has flooded in the past. Realtor.com reports that 90% of all disasters involve flooding, and 25-30% of all paid losses for flooding are in areas not designated as flood zones. You can look up a home through the National Flood Insurance Program (which is run by FEMA) to assess its risk and get a quote for flood insurance. Is the Home in a Hurricane Zone? If so, does the home have storm shutters, hurricane siding, and a roof that’s up to current code? These features will help your home withstand the high winds and flying debris in hurricanes, and you’ll pay less for insurance as a result. Have You Seen the C.L.U.E Report? The Comprehensive Loss Underwriting Exchange (CLUE) is a database that details every home insurance claim that’s been made on the home. Homes with a lot of claims in their history will cost more to insure. Does the Home Have New Wiring? An older home with new wiring is less of a fire hazard, and you might get a discount of up to 10%. The same is true of new plumbing; updates here will cut insurance costs. Insurance might not be the most exciting topic in the world, but it’s one of life’s necessities that’s there when you need it, and it’s definitely worth the time and energy to find the best coverage at the most affordable price. Finding out that you’re not covered for the mudslide that just wiped out your garage and kitchen is not a situation you want to find yourself in. I’ve been with Progressive for almost 15 years. I don’t often say I love a company, but I love Progressive. They are easy to work with, their website is simple and comprehensive, and the few times I’ve had to make a claim, they were incredibly fast and helpful. They’re consistently ranked as one of the best insurance companies because they take the hassle out of insurance. What is your relationship with your insurance company? Do you feel you’re getting a good price? If you’ve ever had to file a claim, were they easy to deal with?